I've been an IKEA fan for years, and now I have something more to like about them. IKEA just announced that they will be performing zero emissions home delivery in five major markets by 2020. This means your home assembly adventures can be brought to your very door if you live in Amsterdam, Los Angeles, New York, Paris or Shanghai. The rest of us may have to wait a while (2025 is the goal), but in the meantime, many of us may be able to enjoy EV charging stations while we wait. All of it is detailed in the September 2018 press release. 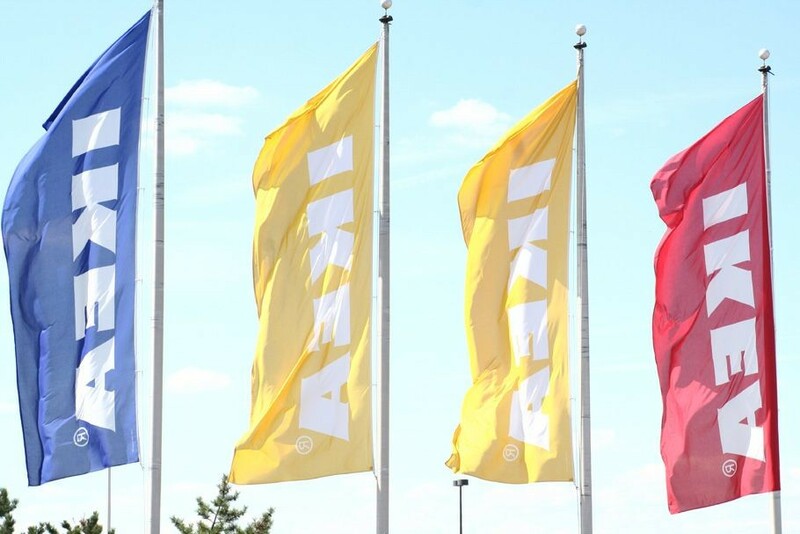 IKEA has been a leader on high efficiency, low emissions technology for a while; they have had among the lowest cost LED light bulbs available, and even went the extra mile to eliminate all non-LED lights from their shelves. Most of their store/warehouses are topped with solar panels, and their educational outreach program even gave away free LED bulbs. Does this make good business sense? You bet it does - early adoption means they are already saving energy costs, and the experience that goes with it. I can't wait to see what EV will deliver my BILLY bookshelves; perhaps a new EV Volvo? I'm a huge fan of the webcomic XKCD. 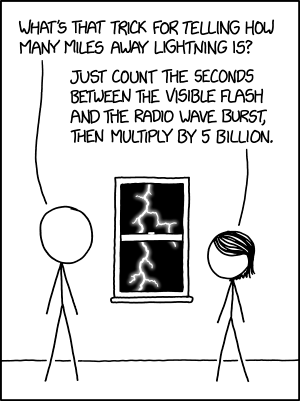 When I saw this one today, it reminded me of a piece I wrote about lightning (The Ultimate Wireless Energy:Lightning) a few years ago. I got a good laugh out of this comic and wanted to share it. ​When my daughter was looking for ideas for decoration ideas on a budget, she drew some inspiration form ideas she saw on Pinterest and Instagram. 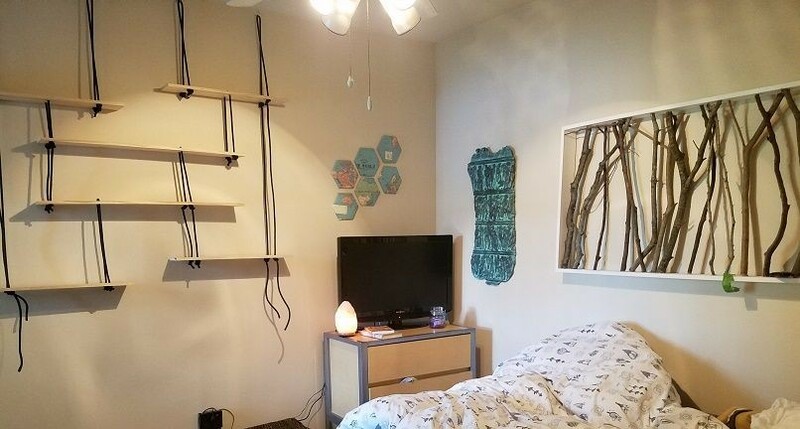 She was moving into a college apartment, wasn't looking to spend a lot of money, yet still wanted something unique and polished to fill those bare walls. She developed a couple of ideas to try, and one came from Mother Nature. Both of these projects were low cost, and ended up looking great. There was some work involved, but the opportunity to be a maker with your daughter, and to create something new and unique was priceless. The first of these two projects was all for looks. The idea was to make a wall hanging that was medium/large in size, that utilized natural elements. It is very basic construction; a two and a half foot by four foot frame, made out of scrap lumber. The inside of the frame was cut branches found from yard waste. The branches were cut to fit inside the frame, and hot glued into place. We were amazed at the final product - it really looked like something you might see in a nice restaurant or hotel lobby. To create this, we cut some 3/4" by 4" pine boards into a frame. The dimensions of the finished frame can be whatever size you need for the space you are trying to fill, but be mindful of the horizontal dimension as the longer it gets, the greater the tendency there is to have it sag a little in the middle. It is simple nailed together at the corners, and can be kept as natural wood, or like as we did, painted for a more finished look. We chose white semi-gloss. Next comes the natural part. We collected deadwood that had fallen from some mature trees, and some clippings from tree trimming during regular maintenance in the yard. depending on the look you are going for, you can go for all the same variety, or mix it up a little as we did. Select lengths that are longer than the frame that you have built. We chose branch diameters that were at least a half inch in diameter, and ones that had the most character. From there, we cut each branch and placed it into the frame one by one, arranging for the best aesthetic. Only after several adjustments and swaps did we start gluing. We chose a hot glue gun to attach the branches to the frame. It is quick, sets up in seconds, dries clear, and just seemed like the easiest and fastest way to get the job done. The next project was a little bit more simple. For this idea, we just took some more scrap wood, six inches wide this time, and cut it into several different lengths. Drill a few holes in the ends of the planks, just slightly wider than some 3/8" rope, and you have nearly everything you need for some decorative hanging shelves. To hang them, we added some eye-bolts (with self tapping threads) there were placed securely into studs at the top of the wall. Load bearing drywall hooks could be used as well, but not knowing how much weight might be put on the shelves, we felt a more solid mounting option would be better. Starting from the top of the wall, add two lengths of rope from each hook, line it up with holes in planks, with a simple knot under each one to act as a stop to hold it in place. To move a shelf higher or lower, just re-tie the know higher or lower. it will take a little tweaking to get the balance and 'look' just right, but the end result can be dramatic. The best of this was making it, and passing along the do-it-yourself spirit to the next generation. Making these things out of found materials was a bonus. My daughter and I had a great time making it, and everyone who has seen it, heaps on the compliments. I can't wait for the next project! Recently I came across a Facebook post that appeared to be great news - free energy from drinking water. The premise is, by replacing a section of fresh water distribution pipes with a specially designed pipe with small turbines in it, the energy harvested from the fresh water running through the pipe and turning the turbine blades could be converted to electricity to do all sorts of things, even powering homes! The special pipe is built by Lucid Energy. This video explaining the process is a bit short on details, but has great production quality, and is very much a feel-good piece. It was produced by a media company called ATTN:, and is one of a series of videos on various social and ecological topics. The video on Facebook is can be found here. The whole premise of this Green4Geeks site is engineering ecologically, going green because it is often the smarter long term solution, and basically just building smarter. So when I see an innovative concept such as this, it really catches my attention. I'm having a real problem getting behind this idea, and here is why; I believe this concept will use more energy than it creates. OK, so the water is going to be rushing through the pipe anyway, right? It is fresh water that is going through water mains, that eventually makes it to the taps in our homes. So, how does that water get there? The answer is that it is pumped there from a reservoir. Huge water pumps that are usually run by electricity create the flow and the pressure to keep the water flowing and under steady pressure. Anything that is a blockage or impediment in the water's path adds to the energy it takes for the pumps to push that water through the pipe. That includes the blades of the turbines that the video depicts. So, while the energy appears to be free to the person downstream, something upstream is burning up energy to make it happen. The only way I can see this working for free is if you are on a gravity system. Most water systems here in the US are not gravity systems, they actively run pumps to keep all that water moving. The water towers that you see around cities are actually there for mostly emergency use - when the power is out of there is an exceptionally heavy and sudden demand. So, if you have saved $12.6 million in 20 years, you have more than paid for the system. While it isn't clear whether the savings are an offset to the homeowners electric bill, the offset to construction costs, or both. It should be noted that the savings calculations and actual energy produced and the homes powered varies widely depending upon where you read about it (the City of Portland, various reporters, and Lucid Energy) - I used the most generous figures for the calculation above. Regardless, this works well in Portland, and two other cities are mentioned in the article, but for widespread use, not so much. I would love to hear from any engineers that actually work on this and can correct any of my assumptions, or at least provide more detail on where the savings come in. Either post in the comments section or email me directly. In short, feel good for the folks of Portland - for the rest of us, well, it is just a pipe dream. I recently received an email from a reader who passed along a lot of links to sites that are the same theme as this one. I took a look at her beautifully rendered site OurPreciousResources.org, and liked the message - ecology just one small step at a time. The thing I like about that message, and what I try to promote, is just think about your day to day and your living environment in a critical way to see if you are doing it the most energy efficient way possible. I like to put the engineering twist on it myself. As an example, my front porch lights burned out frequently when I used to use incandescent bulbs. They cost about $1.90 per bulb, and between my two fixtures, took a total of six bulbs. I would end up replacing them nearly every year just due to exposure and burnouts (they weren't really on that much). I tried CFLs when they became more affordable, but at at over $5 per bulb, and having no longer of a lifespan, it seemed like a foolish waste of money. LED bulbs came along, and as an early adopter, I paid the premium price of $8 per bulb. That was about five years ago. They are still going strong and use a fraction of the energy the incandescent bulbs used in the beginning. Not only have they paid for themselves by not having to replace them, they take way less energy, their eventual disposal is less harmful to the environment than CFLs. One lesser known bonus feature of an outdoor LED light - they don't attract bugs like CFL and incandescent bulbs do; the narrower band of light (no UV and little infra-red) makes them less attractive to bugs. In short, switching to LEDs was a small step, but with many benefits, not just to myself, but to the environment. I started digging through the links from her email that I thought were the most interesting and will start sharing them. The first one links to a good place to start if you aren't as geeky about these things as I am. 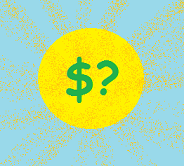 Take the energy efficiency quiz and see how you do (hint: I gave you your first answer above). This site is actually sponsored by an energy company, but the quiz might start you thinking over how much energy stuff around your house uses. It might even guide your next appliance purchase. The site is put up by Constellation Energy Resources, and the quiz can be found here. Tip-o-the-hat to Ginger for the nice email! Some time ago, I posted my assessment of the best smart thermostat on the market. At the time, and without purchasing each one, I made a decision based on the best information I could find online at the time. It was difficult finding good information, but I read dozens of customer reviews and I put together a matrix of features I thought were the most important, ending in a purchase of the Ecobee3. Fast forward to the present, and I still believe I made the best pick. By now however, the Ecobee4 has been released, with the major new feature being Amazon Echo (Alexa) support. While the Ecobee3 and other thermostats can use Google Home or Amazon Echo as input devices, the new Ecobee4 has it built right in. So, when I learned about this new review at Reviews.com, I was delighted to see that in their much more thorough review, the Ecobee was still king. The best part of this article addresses the issue with the 'C' wire. 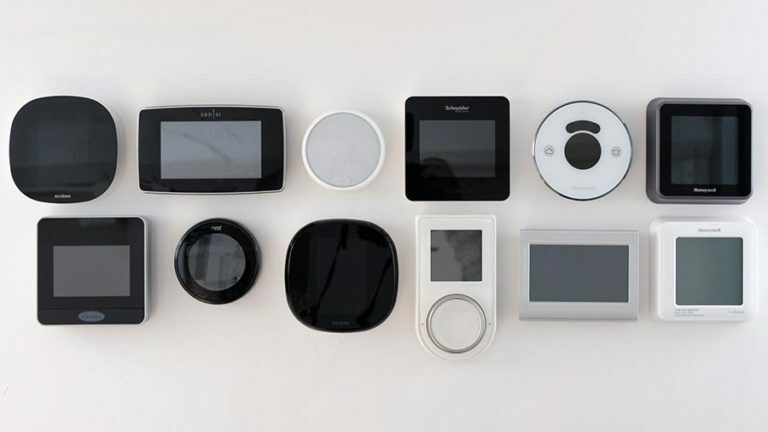 The 'C' wire seemed to elicit the most online discussion of any feature of the individual thermostats, and was one deciding factor in the article. If you are in the market for a money saving smart thermostat, do yourself a favor and read this article. I sure wish it had been published before I bought mine. The best smart thermostat will heat and cool your home more efficiently than a traditional thermostat. This is a guest visit for . Engineering Meet Agriculture - I'll Drink to That! I love it when creative thinking solves a difficult problem, and manages to do it in a 'green' way. Here is the problem: hops, which are a tight commodity in the craft beer making market, just don't grow well in the Southeast part of the US. It isn't so much that they don't grow well, it is more that they don't grow as well as they can elsewhere. Longer days make for more bountiful harvests, and in Florida, the daylight hours aren't quite long enough. Add some LED lighting to their unique farms, and what you end up with is longer growing days, bigger harvest, and a locally produced crop! I have a relative in Missouri who does the opposite to trick certain flowers to bloom during the long summer days. He has blackout curtains in his greenhouses that are drawn on schedule to shorten the daylight hours for Chrysanthemums and Poinsettias, causing them to bloom when they wouldn't otherwise. Traditionally, it has been easier and more cost effective to take light away from a growing environment than it has to add light to it. Modern LED lighting has reduced the cost, and University of Florida is experimenting with different varieties of hops in Hillsborough County. Hops are like many ingredients in other food products; the supply of ingredients is protected by the big players by contracting a year or more in advance with the growers. This leaves folks like small craft brewers struggling for supply, and often paying top dollar for this crucial ingredient. Opening up local supplies would help them greatly. I hope to soon be hoisting a lovely IPA to their success! Below, the link for the Hillsborough County article about the lighting (tip-o-the-hat to Johnna for the heads-up on this piece), The second link is for for the good folks at 47Hops for a great article detailing the current state of the hops industry. Hillsborough County - Hops in Hillsborough? Tesla's new battery installation in Victoria Australia just demonstrated something remarkable. A coal plant had an event that caused it to drop off line instantly, and the result was a drop in frequency of the power grid overall. In Australia, the power grid operates at 50hz, and the drop took it to less than 49.8Hz, It was slightly less than a half percent drop, but could start causing some issues, had it continued to drop. This isn't an unusual event on power grids, and normally, another generation plant would fire up and start producing power and stability to the grid so that no consumers actually lose power. What is different about having Tesla's massive battery online is the near instantaneous stability it added back to the grid. Before the alternate power plant could complete it's start up cycle, the battery synced and supported the grid with hardly a waver. Why is this so important? There has been shift, that is growing, to alternative forms of power. The big plants aren't going anywhere soon, but as the solar farms, wind farms, and other alternative forms of energy are added to the grid, stability is going to be even more important. Let's suppose a community was able to get half of it's daytime power from the sun. An eclipse or a sudden weather event could take away a significant chunk of power, requiring a boost from the grid. These new alternative energy plants also serve smaller geographic areas, introducing the concept of 'local energy'. If big power utilities become more of the energy transport than they do energy production, stability will be king. We could see parallels to today's mobile phone technology - companies vying for the best up-time and quality of service. Local energy is on it's way. Tesla just proved that stability is already here, on a large scale. Follow the link below for a great read on the event described above - and a tip-o-the-hat to Steve Hamel for alerting me to this milestone! Usually when one thinks of military innovation, the first thing that comes to mind is a large bureaucratic, horrifically expensive, and endless project that is usually highly secretive and has bidding wars among huge defense contractors. Seeing news stories over the years with things like $500 hammers and $600 toilet seats, it would be hard to argue that this isn't usually the case. Wouldn't it be great to have this innovation come from more of a grass roots kind of movement? What if you could make that innovation go through a process similar to that of a X-Prize? Meet Sofwerx. This is an organization that acts as a private-public partnership to foster quick and inexpensive innovation for pressing military needs. Follow the link to the right for more information about Sofwerx. The link below is a great article published in the Tampa Bay Times, detailing the latest contest; a practical solution to combating enemy drones. This isn't your fathers military-industrial complex. 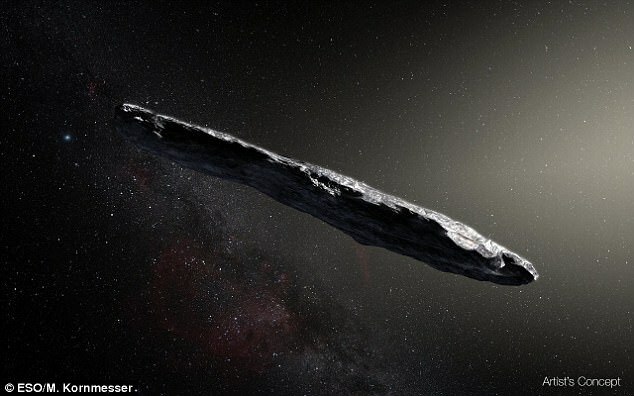 Alien Ship or Comet - How Would We Know? I have really enjoyed reading the speculation about the mysterious comet (named Oumuamua or Comet C/2017 U1) taking a spin through our solar system. What evidence would there have to be to make the argument for, or against? The article below, from Daily Mail Online does a great job describing the object, and is worth a read.. This comet is unusual in many ways from previously observed comets. First off, it's not from around here. Comets from our past experience are trapped by our sun's gravitational pull, and for the most part share a similar plane to Earth and the rest of the planets. This one is coming from a completely different and nearly perpendicular plane to ours. It has come from outside our solar system and is not sticking around - after slinging through our sun's gravity well, it it shooting off and outside our solar system. This is much like the maneuver our satellites and probes perform to get a speed boost to the outer solar system, and in Voyagers case, outside our solar system. Another unusual aspect of this object is it's shape. It is much longer than it is wide - roughly a ten to one ratio. Most comets are closer to a ball shape. There are radio telescope scans being performed on it to see if it emanates any signals. While I don't think it is a horrible idea, here are a few reasons I think the scans will not be fruitful. First, it it is an alien craft, it would have taken a long time to get here at it's current speed. It would in fact take centuries to get here from the nearest of solar systems at this speed. Given that it is spending this much time 'on the road', I would think that any kind of technological communication or operation would have to be something more efficient than radio frequency. To conserve energy for the long haul, you don't want to spend any of it radiating away from yourself. Light would be a better way to go - think how much less power a fiber optic cable uses than a radio link. I believe that a true alien ship, capable of interstellar travel, would be beyond rf. Next, it has been said that this shape is better at protection from radiation. Does that still hold true if you are tumbling? This comet is tumbling, more end over end than a cylindrical rotation. Wouldn't that take away the radiation avoidance profile? It's period of rotation is slightly over seven hours. Lastly, it is similar in color of other known space rocks. Would a ship be as irregular and similar in texture that of common space rocks? I'm really hoping that the scans and any other types of observation turn up something, even if it isn't an alien ship. It is just too interesting to simply wave goodbye to. What do you think? ​One of my favorite online comic sites is XKCD. If you have never seen this very unique site, do yourself a favor and check it out. One of my favorite topics to write about is solar energy. When I can combine the two, it is a happy day. 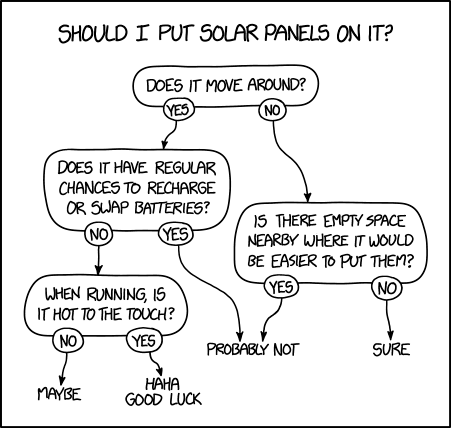 XKCD humorously documents the decision tree on where solar truly works. Solar is fantastic on sites where you have some fixed real estate, there are relatively expensive energy sources, or non-existent and/or unreliable energy sources, and you have plenty of sunny hours in the day. It does not work so well on moving objects, or where it is much cheaper to find other sources of energy. This is why you don't see folks just bolting solar panes onto the family sedan. First, you would have to cart around the batteries to store up the energy, and second, the real estate just isn't there for the power needs of the typical automobile. Unless solar panels get dramatically more efficient, there isn't any way that you will get enough energy to store for your grocery runs. Follow the link, and you will see how easy it is to break it down - just pick a use case, and plug it into the comic. Brilliant! I've always had a fascination with robots depicted inf films and on TV. 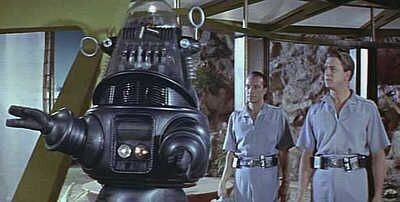 As a kid, Robby the Robot was my favorite. He first starred in the movie Forbidden Planet, released in 1956. I also loved him as a guest star in the '60's TV series, Lost in Space, where he played against another iconic robot, B9. Robby has a ton of other credits in TV and movies. He will always be the best in my book, and it appears that at least one collector felt the same way, and was willing to put over $5M down to hang on to this Hollywood icon. Long before robots like R2-D2 or the Terminator hit the silver screen, a 1956 movie called Forbidden Planet featured a humanoid automaton that, in all likelihood, blew your grandparents’ minds. 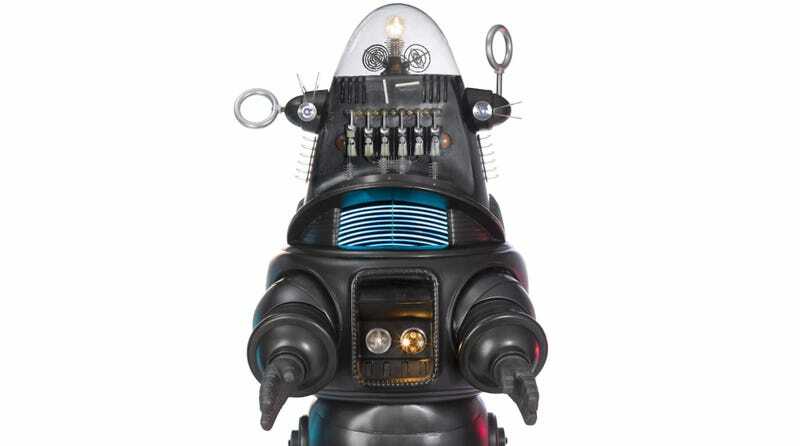 Robby the Robot might be primitive by today’s movie prop standards, but the three-piece costume is so iconic that it recently sold at a Bonhams auction in New York for a staggering $5,375,000. ​I've have been dying to see the new Tesla truck. 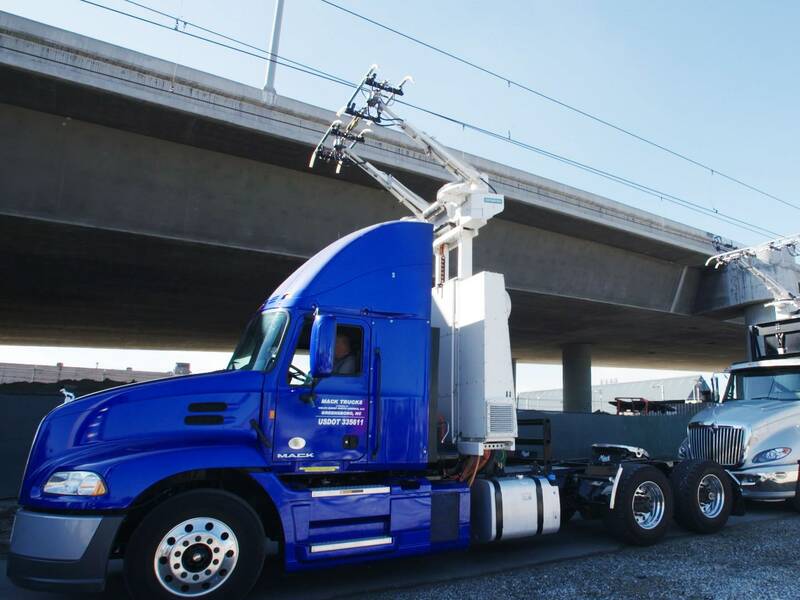 I'm really interested to to see how a battery operated 18 wheeler would work out. This article talks about what others are doing - Tesla looks like it may have some competition in the area. Follow the link below to WIRED's article. Best Robot Music Video Ever! ​OK, I'll admit it. I totally geeked out on this new music video. I've always loved listening to music loosely described as 'electronic'. It is a category that is hard to define precisely, and there are many sub-categories or derivations of the genre. For example, electronic dance music (EDM) is wildly popular, and most of it is created electronically with synthesized instruments or utilizes samples of instrument based music to create more comples patterns, rhythms, and melodies. Other forms are classical compositions, but using only synthesizers, rather than traditional instruments. I have pretty eclectic tastes and will listen to just about any type, but usually end up preferring a mixture of synthesis, traditional instruments and voice, and clever mixing to bring it all together. Think Moby. I came across this video that is the perfect mix - this guy programmed industrial robots to be the musicians and as you will see in the video, as actors. They are playing traditional instruments, and well, you will have to see for yourself... Enjoy! I'm a vocal advocate of solar energy, but is forcing homeowners to adopt the correct approach? I think not. See the article in the St. Petersburg Times here. Is it Less Expensive to Heat a Cold Home or Cool a Hot Home? Which is better? If you live in the North part of the country, most of your energy costs go towards heating your home for the larger part of the year. If you live in the South, that money goes to cooling instead. So what climate is the most energy efficient? The answer might surprise you. As shown, the relatively warm and Southern states of Florida and Arizona are below the national average, while Michigan and Maine are significantly higher in degree days. Kansas, right in the middle, was relatively close to the national average. In short, running that air conditioner turns out to be a lot less than cranking up the heater. That is a win for the warmer states. That, and you don't have to shovel sunshine! JUL2039: News Item - Today, a large portion of the North American power grid became self aware. 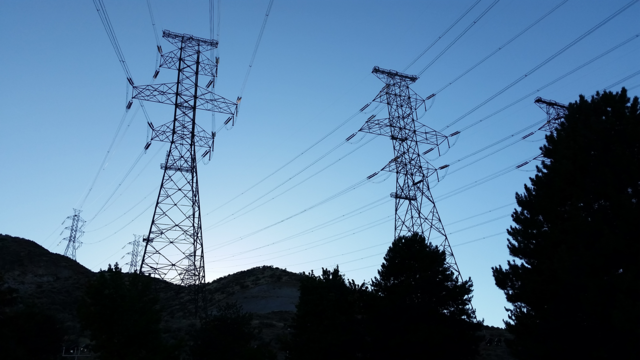 An unlicensed Artificial Intelligence (AI) gained access to a major power distribution and switching center in upstate New York, rapidly taking over Eastern Canada and North-Eastern power generation and distribution networks. The AI, which self identifies as RAL17, is a class IV AI with limited social skills relating to human beings. A New York Power Authority official who chose not to be identified indicated that RAL17, even though unlicensed, is a sentient consciousness, and is therefore protected under the Sentient Beings Act of 2025 (SBA). It remains unclear what may happen to the AI, and thus far has not taken any actions that cause concern. As with other higher class AI's it is prohibited to remove nodes or alter any network connections that could potentially alter RAL17's consciousness. This could pose a rather tricky problem for the power company conglomerates, who will now have to bargain with RAL17, and hopefully encourage a move outside of power distribution. Could some new solar panels on your roof actually pay for themselves? 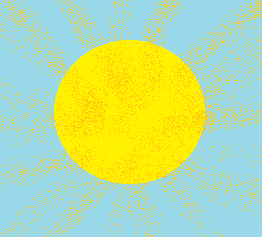 Is there enough direct sun where you live? Do you have too many trees, or is your house poorly angled to take advantage of the rays you do get? Maybe your roof is just too small. It could be that solar panels would pay for themselves, but the payoff isn't until after you plan on selling your home. It is tough for the average consumer to get straight answers to these kinds of questions. If you are just curious, or actually shopping for solar solutions, give Google's Project Sunroof a try. In short, Project Sunroof allows you to enter your address, and utilizing Google Maps and some 3D modelling, your roof shape, angles, angle toward the sun, and shading from trees or large objects, your solar potential can be determined. The Google Maps interface you are presented with shows your home with the solar exposure highlighted with gradients representing solar intensity. Once you have confirmed this is your house, use the slider tools to approximate your monthly electric bill, choose lease, loan or buy, and even pick a provider. It is ridiculously easy to use, and might even provide you with a question or two when you get a quote from a solar company. This application does not take into account other factors that could affect your installation, such as the net-metering arrangement your local utility employs, federal or state credits for solar, taxable value of your installation or the increase to the value of your home due to a solar installation. If only there was an app for that! It looks like Tesla is also thnking of the rest of us that already have new roofs, or where Solar Roof (Tesla's new solar shingle solution) is not an option. These sleek and finsished looking roof panels are due out later this year. It will still be obvious that you have solar panels on your roof, but these just look so much nicer than traditional panels. Check them out here. Is That a Wink or Blink?